American Hustle just feels real; it’s all at once an intimate tale and yet one that everyone can relate to. It’s heady material grounded in visceral reaction; a character study as much as it is a story. The ensemble cast embodies their parts entirely. Amy Adams is flat-out incredible in this movie. Christian Bale, again, transforms himself into Irving Rosenfeld, gaining serious weight for the role and completely disappearing into his character. Bradley Cooper is ambitious in his portrayal of FBI Agent DiMaso, playing Richie as a flawed, unlikable loose cannon. And Jennifer Lawrence, described by Irving as “the Picasso of passive-aggressive karate,” steals every single frame she’s in. Simply, the Academy should be paying attention. 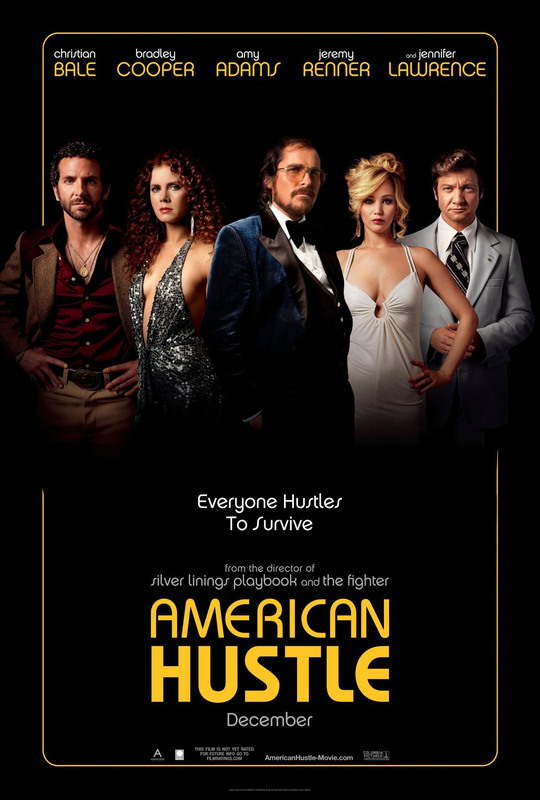 But what makes American Hustle one of the best movies of the year is David O. Russell. The tone is so spot on, drenched in 1970’s swagger where anything is possible if you dream big. The sweeping camera and continuous tracking shots not only keep the pace and stakes high, it also gives the tremendous performances room to breathe. Watching American Hustle felt like the first time I saw Goodfellas; what better compliment is there than that? If you can’t tell by now, I really enjoyed this movie. The characters and performances are totally original. The direction is flawless. It’s a rare film; a culmination of many great choices. See it now so you’ll have an opinion at the water cooler come Oscar season.American Hustle opens today in Philly area theaters.